A major landowner was given a tax “sweetener” in a top secret £7.2 million deal to buy a treasured ancient Caledonian pine forest in the Cairngorms, according to documents obtained by The Ferret. Rothiemurchus Forest near Aviemore was sold by its owner Johnnie Grant to the Scottish Government in 2014 for a “douceur price”. This meant that he was paid up to an estimated £1 million extra under a controversial – but perfectly legal – UK government capital taxation arrangement. Over two hundred pages of legal documentation released under freedom of information law show that the deal was negotiated with an “unprecedented degree of confidentiality”. A non-disclosure agreement prevented internal experts, statutory agencies or neighbouring landowners from being consulted on the sale. 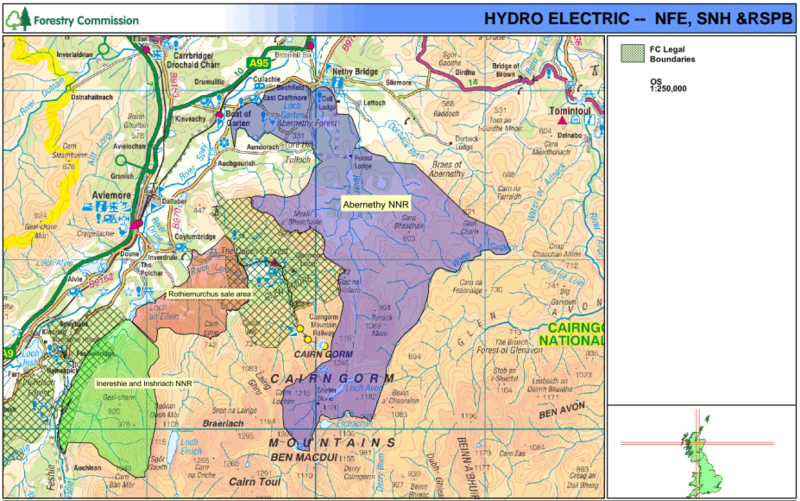 The potential purchase was discussed in private by a small group of senior officials within Forestry Commission Scotland under the misleading heading “Hydro Electric”. A team of estate agents and valuers on a four-wheel-drive tour of the forest in February 2014 were warned to dress so they “do not resemble a team of agents valuing an estate”. The commission’s own land specialists were not consulted, as they usually would be for land transactions. Neither were the government’s conservation agency, Scottish Natural Heritage, the Cairngorms National Park Authority, nor the Royal Society for the Protection of Birds, which owns the neighbouring Abernethy estate. When the sale of Rothiemurchus Forest to Scottish ministers via the Forestry Commission was announced by Grant’s estate agent on 17 April 2014, it took the conservation world by complete surprise. The 2,330-hectare forest, which carpets the lower slopes of Cairngorm and Braeriach mountains at the northern end of the famed Lairig Ghru pass, is one of the largest surviving areas of ancient woodland in the UK. It was Johnnie Grant who initiated negotiations to sell the forest, which had been in his family’s possession for more than 400 years. Mention was made of other potential purchasers, but none have been named in the documents released by the Forestry Commission or by Grant. On 27 November 2013 the chief executive of the commission’s Forestry Enterprise, Simon Hodge, emailed two colleagues saying that “the other party is going to extraordinary lengths to secure confidentiality”. The Grant family was said to be “extremely anxious about the potential sale of part of their estate coming into the public arena”. The result was a legal non-disclosure agreement that strictly limited any mention of the proposed sale within the commission and to outside organisations. “It has not been possible to consult in respect of this acquisition due to the non-disclosure agreement,” said an internal commission appraisal form, originally marked “restricted”. Senior commission officials decided to “maximise” the price they offered “given the initial expectation of the seller, the uncertainty of the market and the uniqueness of the property”. They applied the “douceur principal” to sweeten the deal for Grant under UK government “conditional exemption” tax rules, resulting in an agreed price of £7,280,114. According to leading land expert, Andy Wightman, the added sweetener was likely to have amounted to around £940,000, depending on various assumptions. Both the Forestry Commission and Grant declined to say how much it was. The deal was an example of the “over-inflated land market” in Scotland, Wightman argued. “It is vital that the public is provided with full details of the market price and any deductions for capital transfer tax liabilities that were made,” he said. Dave Morris, the former director of Ramblers Scotland and a former government conservation advisor in the Cairngorms, demanded a full investigation into the sale. “There is no obvious explanation as to why the Scottish Government gave over £7m to Grant to purchase a large area of Rothiemurchus native pinewood when there was no threat to the conservation of the forest,” he said. Grant has planning permission for a much-disputed development for 1,500 houses at nearby An Camas Mor, which lost a business backer in 2014. Morris pointed out that the legal agreement for the sale stipulated that if ministers decided to sell off the forest in the future, they had to offer it back to Grant first. Conservation groups question whether spending £7.2 million to buy the forest was a wise use of public resources at a time of austerity. There are accusations that the commission had to sell off the Barracks Forest at Rannoch in Perthshire in order to fund the Rothiemurchus purchase. “We were surprised when the deal was announced, and that as a neighbouring landowner we were not briefed,” said Aedán Smith, head of planning at the Royal Society for the Protection of Birds in Scotland. Scottish Natural Heritage and the Cairngorm National Park Authority confirmed that they had not been consulted in advance of the sale. The Forestry Commission insisted that the purchase of Rothiemurchus Forest was “not reliant” on selling the Barracks. “The purchase of Rothiemurchus back in 2014 was carried out as we believed it to be one of Scotland’s most iconic and important landscapes and we wanted to secure its future for the nation,” said the commission’s Simon Hodge. Johnnie Grant, the 17th Laird of Rothiemurchus who still owns the rest of the estate, was proud of what had been achieved with the forest over the years. It was “one of the most visited and appreciated forests in the UK,” he said. A version of this story was published in the Sunday Herald on 10 April 2016. 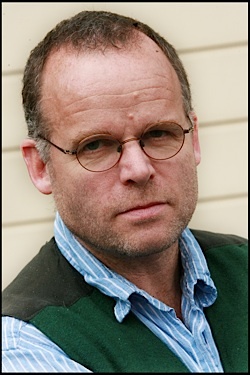 Cover photo thanks to Phil Champion, licensed for reuse under this Creative Commons Licence, and head shot thanks to Andy Wightman.